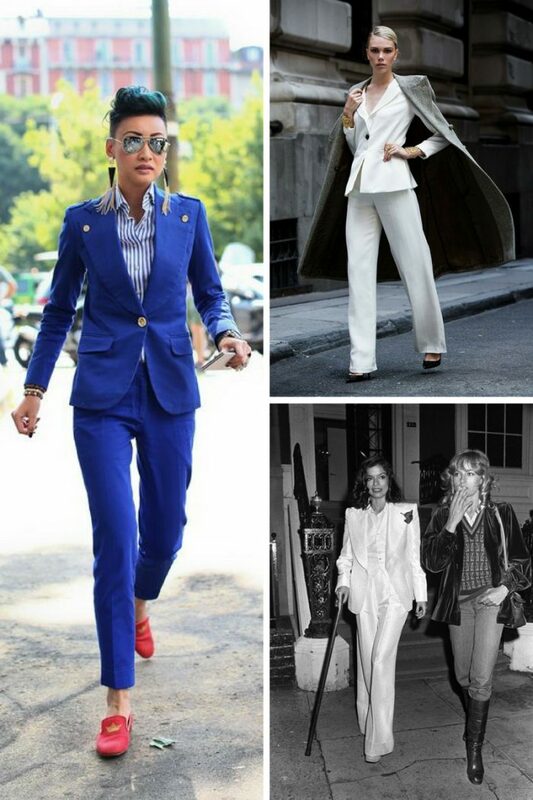 Let's bring power suits back in fashion! Why is this trend so popular right now? 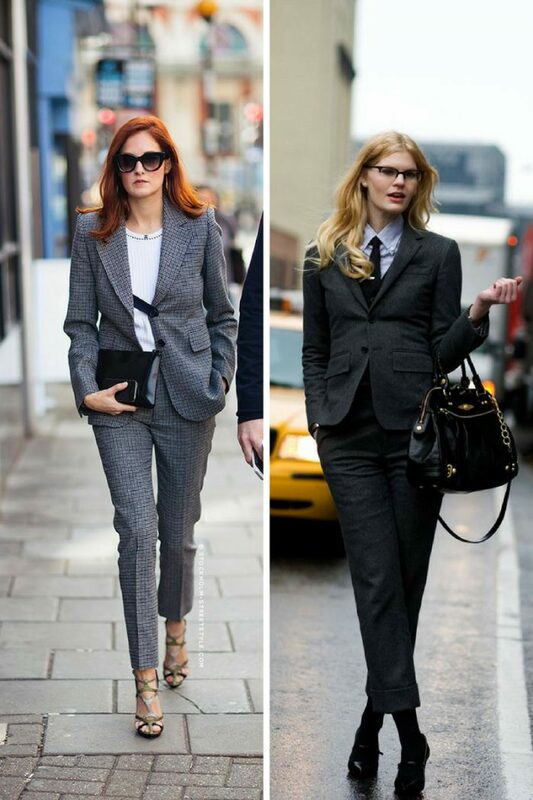 Powersuit can easily make you stand out from the crowd, plus it makes you look special and professional. 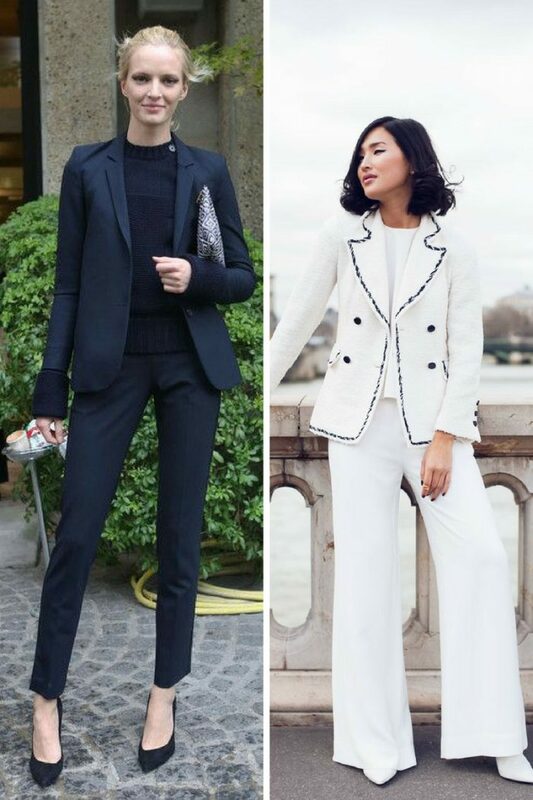 Sure, the majority of women are in love with blazers teamed with jeans, but those of you who want to create a business ready look should give a try to powersuits. This is the only outfit that can make a strong statement about you in seconds. In other words, this is a perfect look for moments when you want your interlocutor to think you are professional. Of course, this outfit smells 1980's inspired, but today's fashion brings lots of cool designs, styles, and cuts to choose from. 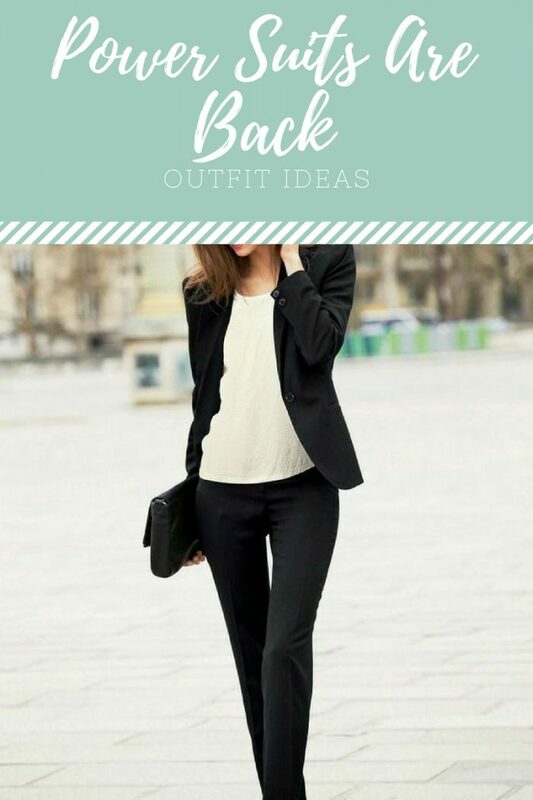 Plus, you can style it in different ways by adding lightweight scarves, eye-catching jewelry, and other accessories to brighten up your look. The result can be clean, bold and badass! Just to remind, I highly recommend staying away from short blazers, low rinse appearance, better choose classic cuts or something between 1980's and 1990's inspired combos. 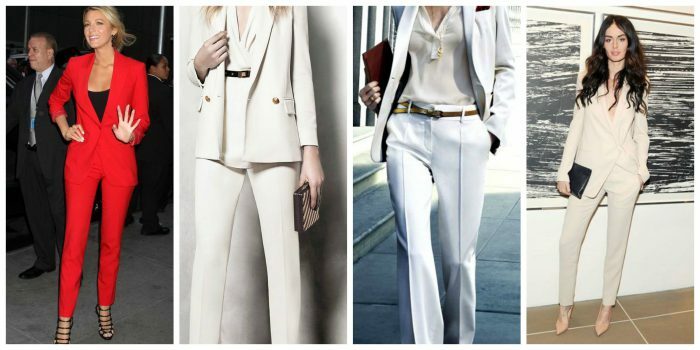 I personally recommend wearing high-waisted pants with side pockets made of great quality fabrics. Don't be shy choosing fun colors (for a statement go for red, blue or green) or textures. 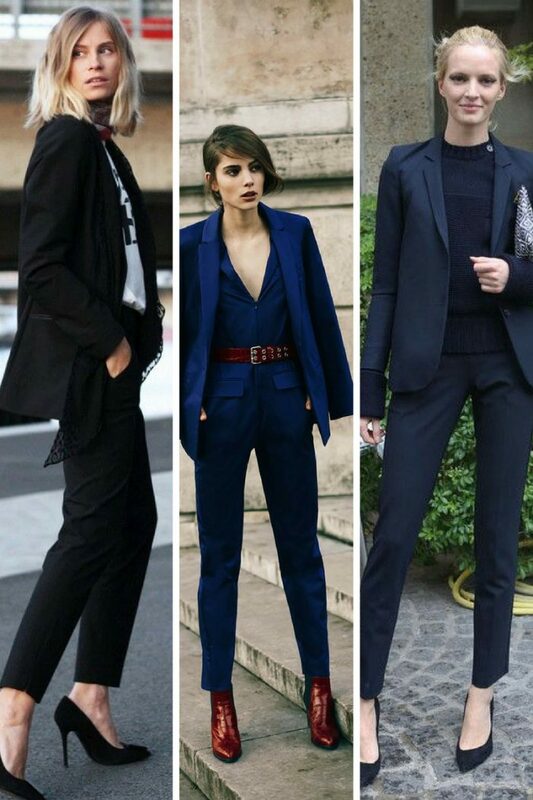 I do love to see ladies in boyfriend inspired blazers worn over shirts with plunging necklines. 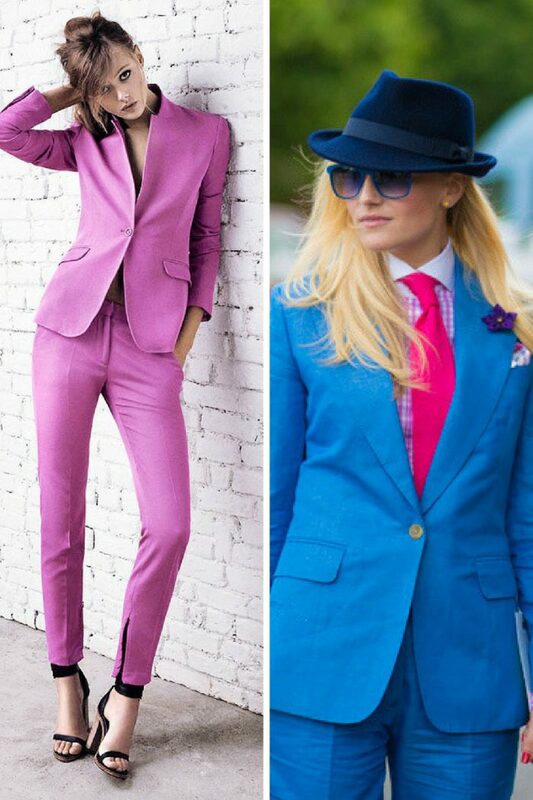 If you are afraid to choose a bright colored suit, then you have a good alternative by choosing either a black or white powersuit. 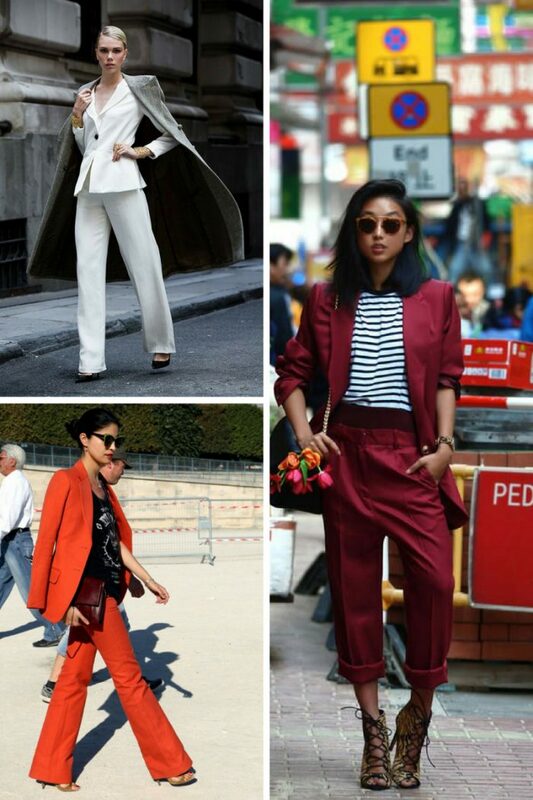 Anyway, get inspired by these street style images and choose your favorite look to try next week!